Bichip Microchip ImplantsteemCreated with Sketch. 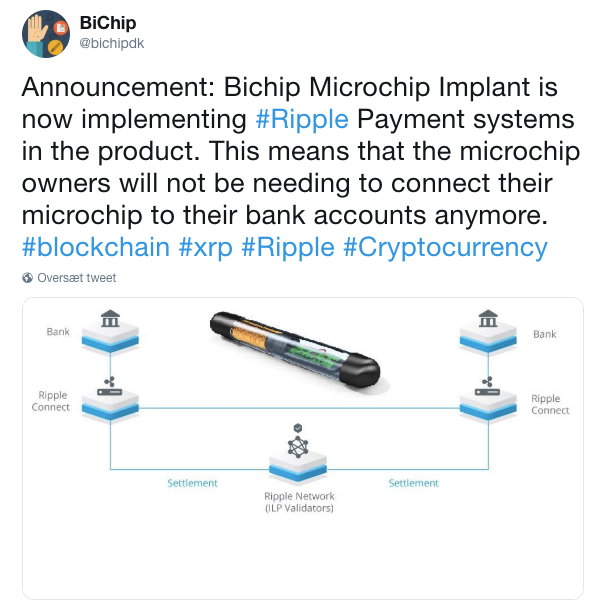 "Bichip Microchip Implant is now implementing Ripple Payment systems in the product. This means that the microchip owners will not be needing to connect their microchip to their bank accounts anymore." What do you think about this idea ? Is this what bible refer to as "mark of the beast" or is it just a genius idea? Your UA account score is currently 4.608 which ranks you at #1707 across all Steem accounts. Your rank has dropped 3 places in the last three days (old rank 1704). In our last Algorithmic Curation Round, consisting of 425 contributions, your post is ranked at #374.